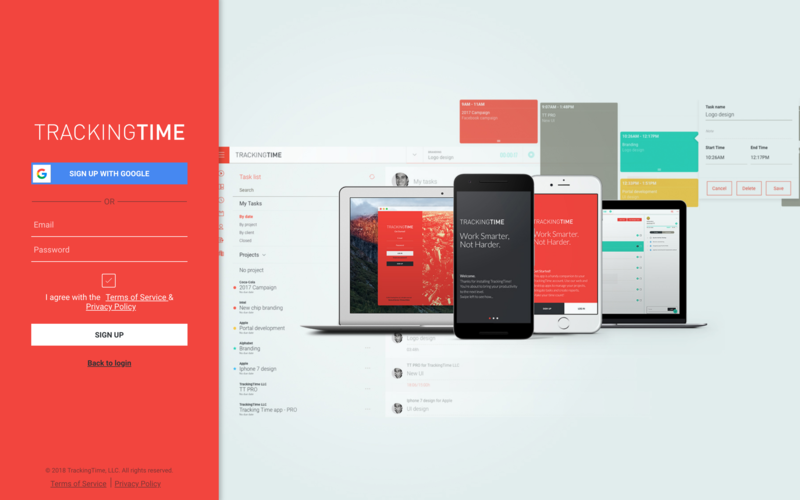 Learn how to use your Google account to signup and login to TrackingTime. 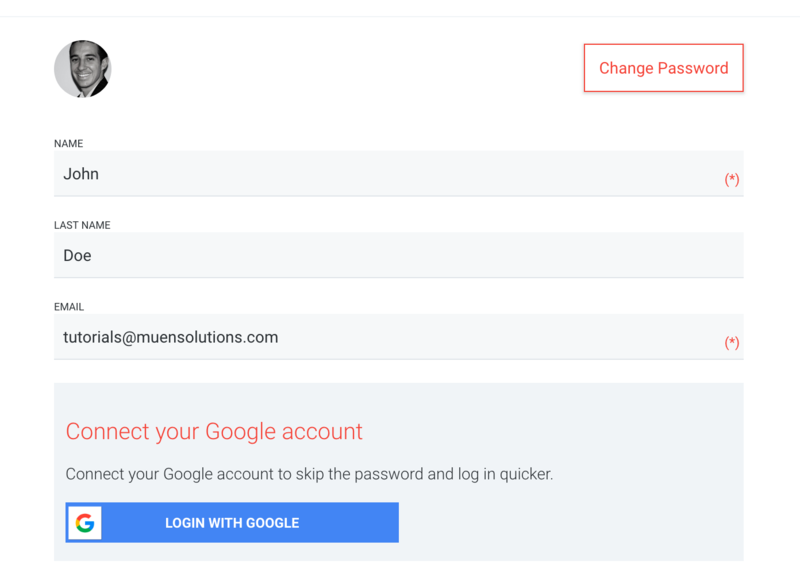 Google Sign-In is a secure authentication system that will reduce the burden of login for your users, by enabling them to sign in with their Google account—the same account they already use with Gmail, Play, G Suite and other Google services. Both new and existing TrackingTime users can benefit from the new Google Sing-In feature across all our apps, i.e. the web, desktop and mobile apps as well as our Slack Bot. Go to https://pro.trackingtime.co and click on “Signup". 2. Click on the "Sign up with Google” button. You’ll be redirected to Google’s authentication and consent screen. Choose the Google account you’d like to use with TrackingTime and authenticate yourself. Note: Depending on your Google account’s recent activity you might be asked to enter your password or to verify yourself using 2-factor authentication. If you’re already logged in a Google account in your browser, you won’t be required to authenticate yourself again. That’s it. After successful registration with Google you’ll be able to log into TrackingTime anytime without having to enter your email and password. Note: Depending on your Google account’s recent activity you might be asked to enter your password or to verify your self using 2-factor authentication. If you’re already logged in a Google account in your browser, you won’t be required to authenticate yourself again. In this case, you only need to give your consent for us to access your account profile. 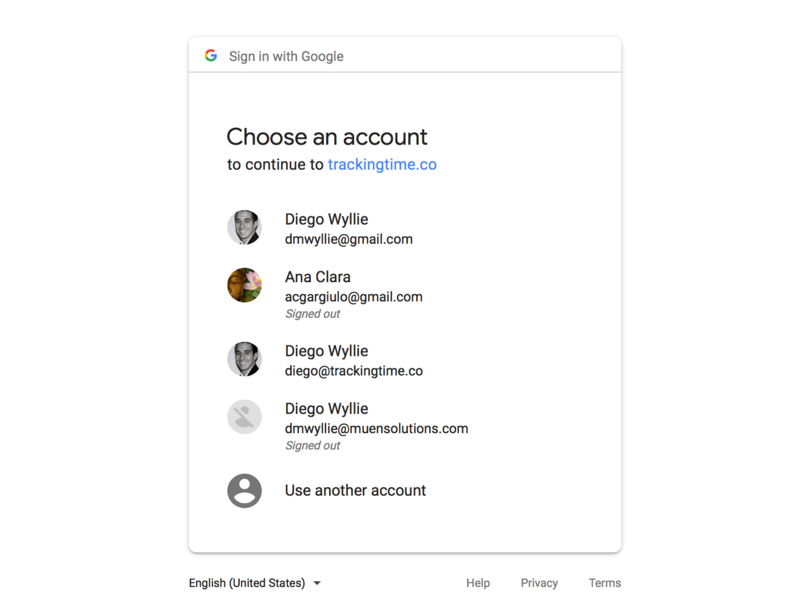 If you have signed up for TrackingTime using your Google account or in case you have already linked your existing TrackingTime account with your Google account, you can login using the Google Sign-In Button in all of your apps. To do so, you just need to click on the "Login with Google" button and authenticate yourself with Google. After successfully authenticating your Google account you'll be automatically redirected and logged into TrackingTime. Log into TrackingTime and go to the Account section. Click on “Unlink this account"
That’s it. You can now login using your email and password.